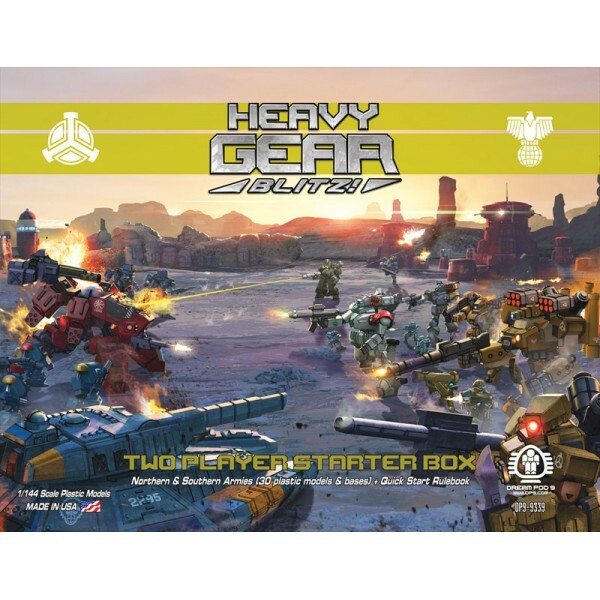 New Heavy Gear Blitz - Tabletop Wargaming - Two Player Starter Box includes the New Nothern Plastic Miniatures Army (14 minis), New Southern Plastic Miniatures Army (16 minis), and Full Color Quick Start Rulebook, with lots of extra weapons and parts on the sprues, plus plastic bases. Painting and Assembly Required. Plastics Made in the USA.